Watch the holiday parade from the comfort of this beautiful open porch! 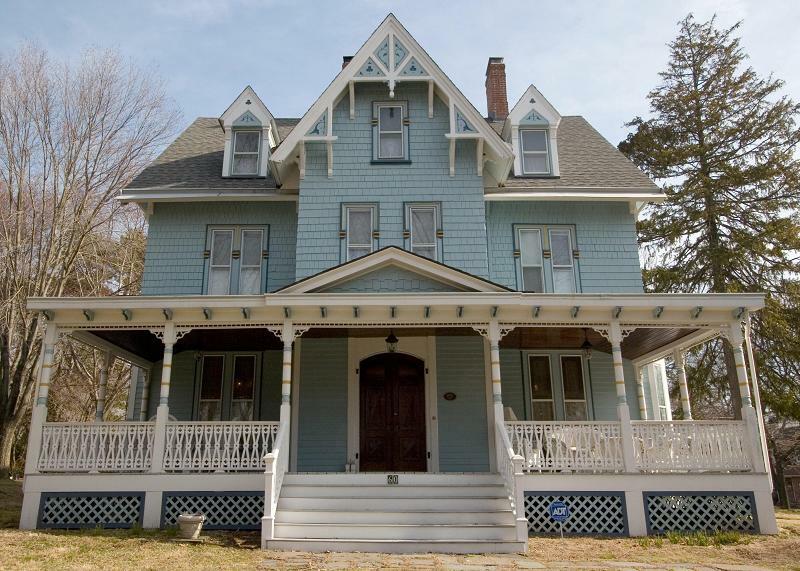 This incredible 1875 Eastlake Stick Style Victorian has been meticulous restored to its former splendor. The Reception Hall welcomes visitors with its beautiful marble fireplace. The Formal Parlor is reminiscent of a jewel box with its amazing wall coverings and stained glass windows. The sweeping living room boasts tin ceilings, stained glass and a tiled fireplace. The beauty of this home continues through the 6+ Bedrooms, 1.5 Baths, Eat in Kitchen and Formal Dining Room. The home also has 4 fireplaces and a massive Open Front Porch. This home is registered on the National Registry of Historic homes, and is a short walk to the NYC trains!